Back in June of last year I was thinking about life, purpose, meaning and the way everything evolves. My mind drifted from person to place to event, and in the midst of a melancholic hullabaloo I landed myself thinking about the ‘Noble Man from Zaytuna’. I sat and recalled the many times this man had inspired me. I counted my blessings to know that I would be setting off onto the Rihla and have the great opportunity to learn from someone whom I’ve respected for many years. 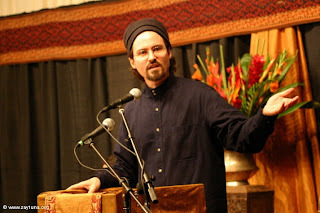 Shaykh Hamza Yusuf has touched the lives of many, in numerous remarkable ways. I am just one of the scores whom he has inspired and motivated in a positive way towards goodness. 4. 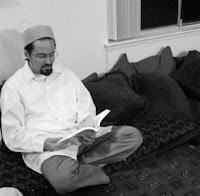 I think it is important for us to look at the way in which our scholars and guides have impacted in our lives. And I wanted to at least attempt this with one individual before I depart from this world. We should all remember the many favours of those around us and steer clear of forgetfulness. Even if we don't write down how God Almighty brought these noble guides into our life; we should at least set aside some time to reflect what life would have been like, had we not been introduced to these individuals? 5. to remind myself that I am part of Bani Adam as he says. These are a few things which I wanted to share.. excuse the writing style but life is spontaneous and short.. and here is a man to whom I owe almost a decade worth..
"It is 1997, I am at university. I am mesmerised by the voice of this one American individual living in Santa Clara. I have brought his tapes and borrowed some from the Islamic Society Library. He is on TV on the ‘Muslim’ slot on one of the stations. Everyone seems to be talking about him. He is just awesome. His words repeat themselves in my ears and I think he talks sense. We start our Islamic Society newsletter and the editor chooses to end his introduction by his words. I make tape recordings of all his talks and keep them. It is 1998*, he is visiting my city. I am too sick to go. My friend tells me he was wearing his white combats and walked past her and her husbands’ stall. It is 1999, the sun is trying it’s best to pierce the chill of an Autumn morning, I am listening to “Educating The Muslim Child” by him. I have an interview later this morning at a Muslim School. His words make me a tad bit more confident. 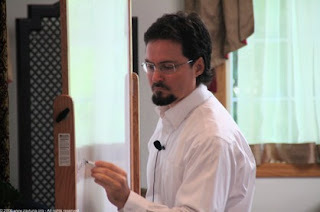 I am becoming somewhat ‘detached’ from the Muslims in my community as I focus on my ‘self-discovery’ mission. Who, what and how am I? The opportunities are endless; I am learning new skills and building the foundations of a stable teaching career. I am seeing success everywhere. He is in my country I hear. I can’t go to visit him. My travels have become limited: I am a sufferer of migraines. I miss out on the opportunities to hear him live. ‘But I have his recordings’ I tell myself. 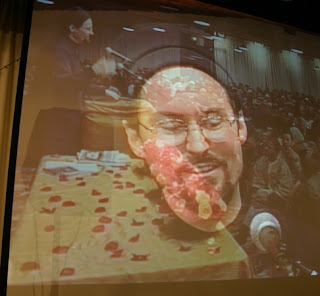 It is February 2003 and I have now done my Hajj. The year ends and I spot him on the cover of a glossy magazine. It is 2004, I make new friends. I give them his recordings because I know they will like him. They too, are in love with him. It is February 2005 and I am in pain. I am told to purchase a CD entitled: ‘17 Benefits of Trials and Tribulations’ with the advice: “Share it with others”. It is Monday 2nd May 2005. I am in the Wembley Conference Centre and I see him for the first time. He is full of hope, mercy and compassion. I purchase the CD set of ‘Purification of the Heart’ by him. Soonafter I purchase a copy of his book by the same title: I open the book to see his signature inside. My world! I start to follow his words from the CD as I flick through the book – my concentration levels are on the all-low. It is mid-September and he comes to my city at last! I feel so graced. Myself and my friend intend to go to listen to his next talk tomorrow at another city – but I have a migraine accompanied by an erratic tummy; I am unsettled all night. My friend’s nephew is in hospital. We both miss the opportunity to listen to him again. A week has passed and I receive something in the post. It is a copy of ‘The Content of Character’ translated by him. A kind soul narrated to him that we were meant to come but couldn’t make it and thus I receive a signed copy with my name in it too! I am soo happy – I can’t believe how lucky I am. It is still Autumn 2005 and my hands are still in pain. I have mail from a well wisher. 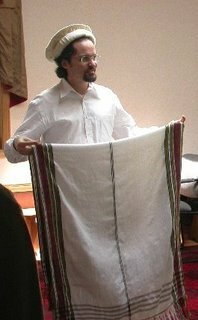 I open the envelope to find a tiny piece of cloth that was used to clean the Kabah by him. He must be such an honourable man to have cleaned the Kabah I begin to think. It is February 2006 and I will be flying away for 2 months in a week or so time. He is in the UK again.. and this time with his teacher. My friend and myself drive up north one cold and rainy evening and see him and his teacher as they pass before us. My, my, we are just a metre away from him. God bless him always, I take that image away with me to Pakistan. It is March 2006 and I am in Pakistan. I am finding it difficult to understand people. I read the ‘Purification of the Heart’ and my difficulties subside. It is June 2006 and I have been accepted onto the Rihla – where he will be teaching!!! I am so blessed I think I will soon go mad. It is August 2006, I am in the lift at the hotel in Jeddah. I am fretting and running late for my lesson. I don’t want that to happen and to dishonour the teacher. The lift should be going down – but what is this: it starts to go up to the fifth floor! I am sure to get late now! I see someone with a cream coloured apparel walk in. I finally have the opportunity to say Salam to him. I am not late for my class afterall - I arrive the same time as my dear teacher. And here I end.. for now.."
I know our dear teacher does not descend from the line of the final Prophet Alaislam – but through him I have been reminded on numerous occasions that we are the Children of Adam. Sadly, we live in a chaotic world where it is all too easy to forget that our common Father was a Prophet. 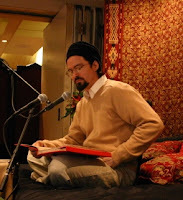 I believe it is therefore very important that we embody the concept of Bani Adam as brought to us by our beloved teacher Shaykh Hamza Yusuf. And I thank God Almighty for making me live in the same age as this great Inspirator. * - I think this is accurate. All images are taken from the Zaytuna Website. Historically man has been surrounded by mentors; advisors and guides to assist, help, support, direct or point him whenever the need has arisen. As you are aware, I carefully avoid writing about definitions and this piece is no different. It is not about training courses or dictionary definitions - that's for you to do. This is a little something about us as mentors. Whether we choose to be or not, we do become mentors somewhere along the vast journey of life. We will meet others in need just like some met us in need - and we will continue the centuries old tradition of mentoring. Sometimes in the most novel of ways. We may not acknowledge ourselves as mentors; but for sure we mentor in varying degrees throughout the course of life. The young girl who helps the newcomer settle into class at junior school.. The teenager who suggests his mate should get appropriate help for his substance misuse.. The one who phones her everyday to ensure she hasn't given up altogether.. The one who texts him daily to remind him he has a Lord who loves him.. The one who is there to listen to her complaints, as she complains about her inability to work any faster towards her goal..
& and an attitude of sincere concern. We become these throughout life and take on the role of mentors. Like others I do believe that the Path has many obstacles and hindrances which at times may cause a slip, trip or fall. But I also believe that God Almighty sends people throughout ou r travels on the Path. These people 'appear' and help us. Sometimes they help us in acknowledging that we have obstacles and then leave us. Sometimes they help us recognise and identify what these obstacles are. Sometimes they help us remove these obstacles out of the way. And sometimes they work with us to put into place plans or mechanisms for dealing with the obstacles, should we re-discover them later on in the way. The Prophets [peace upon them all] demonstrated this. Prophetic spirit helped man acknowledge, recognise and remove the obstacles that stood in his way to being the earthly ambassador that he was meant to be. The cultivation of future mechanisms to dealing with obstacles provided a springboard from which the growth of man occurred. Through following the Prophetic footsteps the tools in dealing with these obstacles are aquired. 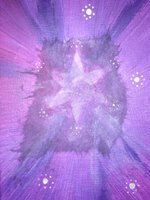 When our path crosses with the ones who have these tools - we are not only assisted by the power of those tools but also gifted some of the magic of the tools. In this way, once the one who came to assist us has left, we continue to use the tools to assist others..
..and like before sometimes we use these tools to merely help someone acknowledge the existence of obstacles and other times it extends to the identification and recognition of them. And other times still, we assist by the Permission of God Almighty in the [safe] removal of them altogether and so forth. The cycle of helpers continues. Now let us think about those helpers; guides, advisors and mentors who came into our lives and reflect upon what obstacles they helped us deal with and at what stage. What would our lives have been like had we continued unaided? How have we been saved simply through one thing our mentor taught us? Seldom do we stop to count the number of mentors our Lord Most High sent us. And if we wish to do real justice to our mentors then let us pick up the tools they left us with and share the magic with others. For some of us have locked away the tool in a treasure-chest somewhere. There is no time like now in opening the lock and lifting those treasures..
.. for everyday our paths are crossing with those faced with obstacles. This was a pre-reading for the long-awaited post on the Chalice which I am still writing!